SF Taxi Media: Tariq Mehmood, Me, And An Anonymous Taxi Driver. By John Han. Tariq Mehmood, Me, And An Anonymous Taxi Driver. By John Han. This essay is a response to an anonymous person's comment made to this blog. The comment was made on the essay titled, "Proposal For Taxi Service Improvements, Open Taxi Access (OTA)". "Barry and others, it is not your permit fees alone but all kind of money which will be used to buy you OTA. Barry your cab I guess is in Royal cab now and Royal do have Cabulous. Royal is on Cabulous, is that not enough. Now you will say that oh,no, now I want OTA. Tomorrow you will say that is not enough, you need another service. companies to stop their dispatch or share money pool and buy OTA, none of them will do it then why Yellow and Luxor should do it. John Han--are you really driver's representative. for OTA and not by MTA where money belongs to all of us too." 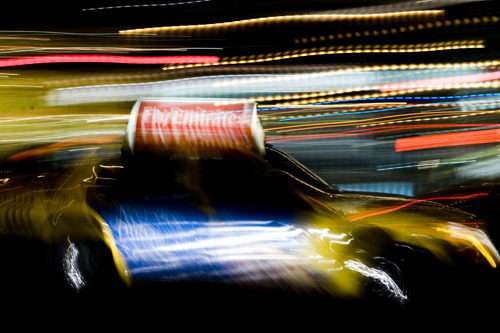 Taxi drivers are the lifeblood of this industry and all of them deserve an honest response. So Anonymous, here's my answer to you. I don't claim to be right, only that I'm being honest. "You came from the back door and is now trying to hang on." This is a fair perception, but it is an erroneous one. I am not trying to "hang on", or maintain or protect my place on the TAC. As a sentiment, I am not married to my position there. I am on it. Therefore, I will keep putting forth an honest effort to perform my responsibilities. If people think I'm doing a good job, great! But if not, then call for my replacement. I don't care. I don't measure my position of prominence based on my seat on the Council. But there's something you should remember. There are some 7500 taxi drivers out there and all of the many diverse views out there will not be adequately represented by the six "driver reps" on an advisory council. That's a problem that I'm sure we could both recognize, and it's not my fault. Fixing that would most likely involve something more than just trying to get things done through the TAC, as the TAC is quite limited in its powers. You seem like you might be a smart person so you should know that without having to have me tell you that. As for coming onto the TAC through the back door, I'm not sure what you mean so you'll have to be more specific as to what you mean. "Go and follow your fellow driver Tariq..."
I do in many respects. I supported Tariq's efforts to protest the 5% credit card fees, rear seat PIMs, and other matters, and I still do. I hate PIMs and 5% credit card fees and I want them to go away. I am appalled at the MTA for these policies. I consider Tariq's energy, time, and money that he put into organizing the protests against these issues, and to talk to drivers and send out flyers to be an example to everyone in this industry who wants change. A lot of people in this industry hate Tariq, but I am not one of those people, and am not necessarily one of his critics. There are many who find his deliverance in public meetings to be bullish, abrasive, or worse, and some of those feelings are justified, because he is often bullish, abrasive, or sometimes worse. But I try to stay focused on what I feel is more important. As far as I can see, the protests of recent months hastened the MTA's approval for a meter increase. And those protests were mostly put together by Tariq. Therefore, everyone who hates Tariq for some of his mannerisms and delivery, mainly have him to thank for the meter increase they have been wanting and now have gotten. There are reasons to think that if it wasn't for the protests, a meter increase would not have been approved until late in the year or early next year. Most of his critics would not bring themselves to openly admit to that but it's true. But he should stop it with the personal attacks against Christiane Hayashi, and calling for her head on a platter. No one's perfect. And Tariq isn't perfect either, nor am I. It is fair that you offer your criticism of me, but Tariq is not immune to criticism either. He can be criticized. Therefore, I will follow Tariq on issues that I think matter. But I will not follow him on issues that I think are frivolous and don't matter. "You could have used TAC forum and if necessary you could have gone to the drivers to inform them of what is going on in the industry." I agree. I am using all the opportunity that I can to use the TAC forum. But here is the reality that has to be dealt with. The 5% credit card fees, rear seat PIMs, and electronic waybills were approved by the MTA before the TAC even existed. So the TAC forum appears to be contrived sometimes, or sometimes rendered useless at best. Also, I have three times put in requests to Taxi Services to provide us with the data that it looked at that would show that rear seat tip prompters increase a driver's tip percentage. The MTA used this claim as a selling point to drivers, claiming that tip prompters would not only make up for the 5% credit card fees, but would increase a driver's tip percentage inasmuch as drivers would earn more money. The MTA must have looked at convincing data for this. But it doesn't appear to have it. I have requested copies of the data three times so we too could be convinced of it. But so far, Taxi Services has not provided it. If Taxi Services does not provide the information by Monday's June 13th meeting, it would be the third time I have put in a request with no results back. If that's the case, then what am I to think? Taxi Services is either refusing to give it to us, or it doesn't have it and never thoroughly reviewed such data in the first place. I can't say for certain, but my guess is that it's the latter. On Monday's June 13th TAC meeting, the MTA will either not have the data again, or it will have data that it produced very, very recently in an attempt to appease the request. As for your call for me to inform drivers of what's going on in the industry, you're right. I could've done more. I'll admit that. But so could you, whoever you are. But having said that, I'll add that just because I'm on the TAC doesn't mean that I have to be the primary taxi activist in all of San Francisco that everybody looks to for action. Tariq is a powerhouse of an organizer. I don't always think he's right, but he's by far the most effective organizer in San Francisco and a force to be reckoned with. There are a few others in the industry who are also effective organizers. If I had my way, I'd expand the TAC to include Ed Healy, Tariq Mehmood, Mark Gruberg, Tone Lee, and Ruach Graffis. That is, if those particular people would want to be on such a council. And whether people want me on it or not is really none of my business. If you like me, then support me. If you don't, then remove me. I am not attached to the position. Tariqs' bloviating is almost garunteed to get him nowhere if I understand human nature at all. Mark Gruberg's eloquence and reasoned remarks undoubtedly had the desired effect on the BOD if they needed any convincing. Any time I've disagreed with the Taxi Comm. or Hayashi I've kept my comments tempered rather than insulting as it backfires. Tariq fancies himself as some leader of the masses but it's all in his mind. Hayashi works night and day to make things fair and does not deserve what she gets from this guy. No watch him insult me very soon. Since my name was mentioned in Anonymous's comment, I will respond. First of all, judging from his use of the English language and understanding (or misunderstanding) of things, I'm quite sure anonymous is Tariq himself. I agree with Hybels that Tariq loses credibility with me and others with his constant tasteless haranguing of Chris Hayashi. It becomes obvious his battle is really about his self image as "THEE drivers' rep" and his grudge against Hayashi, rather than what's fair or reasonable. He attempts to take over the Town Hall Meetings and constantly challenges Chris Hayashi's authority and intelligence. I agree with Ed Healy that he holds a personal grudge against her because under the Pilot Program he does not qualify to buy a medallion. He never put his name on the list and she closed it so we can move to a seniority system sooner. She also didn't pick him to be on the TAC, probably because of his demonstrated inability to hold a civil discussion, or listen to what others are saying. He may be good at getting drivers to show up and demonstrate, but it doesn't take long to realize his followers are by and large misinformed. His flyers are full of false and misleading statements and I've found many of them starting to question his judgement after attending a few Town Halls. As for OTA, no one ever said Yellow and Luxor have to use it, but they have prevented discussion by the SFMTA of it's use by others if they wish. OTA becomes more effective for drivers and passengers, as more cabs are on it. That's why it's bad for public service and drivers if not made widely available, free of charge. Marshall McLuhan wrote, "The medium is the message," and the meaning always escaped me until I encountered Tariq. I respect Tariq for his strong commitment to improving conditions for taxi drivers, but whatever positive ideas he may have get lost in his self-aggrandizing, bluster-filled rants that increase in volume as he continues speaking, and he definitely continues speaking. Tariq, I know you'll read this, so may I suggest that you consider toning your vitriol down and keeping your speaking points brief and limited to one topic at a time? When you attack someone, or that person perceives attack simply based on the volume of your speech, that person will react defensively, nullifying any point you might want to make, no matter how valid that point is. Remember that you attract more bees with honey than vinegar. I know you consult with many drivers; I don't know if you ask what they believe or rally them to your way of thinking, but I have an opinion. It is clearly important for you to believe that you are the voice of "The Drivers," but when you speak it always seems that lurking right below your words are threats that if things don't go your way, you will rally your troops to strike. Rather than speaking softly and carrying a big stick, you shout and beat folks over the head. This insures your message is muddled-exactly what you don't want. Also, it doesn't help your positions when you pull "statistics" out of the ether. That's why I asked for access to your abacus. If I tallied my personal net worth with your accounting system, I'd be wealthy instead of penniless. Contrary to your desire,throwing out questionable figures without documentation, yelling, and anointing yourself the voice of the silent majority weakens the reception of your positions instead of strengthening them. Something else to consider: just because they are your positions doesn't make them the best positions. For my last cliche, I'll point out that the oak tree breaks in the wind while the palm tree bends. Negotiations between parties with disparate ideas requires bending by all parties, or the system breaks. Again, I acknowledge your supreme commitment, I respect the work and time you put into your efforts to help your fellow driver, and I know you are a committed leader. Just as I respect Hayashi, Han, Lee, Korengold, Healy, Fulkerson, McMurdo among many others who, despite contrarian positions, maintain respect and decorum for each other. John Han, once we take a role on something like the TAC, we open ourselves up to criticisms and sometimes personal attacks. All we can control is how we handle them, and you handled yours with dignity. Keep up the god work. problems otherwise MTA is enroute to crush us. Anonymous - I don't want to keep knocking Tariq, but your claims about him being responsible for saving the shorts is an example of how many of his biggest followers are misinformed. Truth is, he hardly showed up at all when we had all the meetings with airport officials about the airport shorts. When he did, he was either late, or the meeting was almost over. Then he'd try to take over the discussions, which he missed the first part of. I went to all of these meetings, and paid the parking and gas each time (around $25). Mark and he took no "stand" that prevented us from a disaster. We also held another meeting among ourselves (taxi reps) at the Assoc. of Burmese Cab Drivers' meeting place (ABCD) in an attempt to present a united front. Tariq showed up literally 10 minutes from the end and disrupted everything. He finally quieted down and we finished coming to our nearly unanimous agreement. It was the work of the people who attended all these meetings and added intelligent, civil discussion to the problems and solutions, that prevented a catastrophe from happening around the shorts. The Town Halls are a forum where all drivers can come and discuss their concerns and speak as long as they want. We're fortunate to have a Taxi Director who will listen. It's easy to complain, harder to find solutions. What have you done to help the cab industry, and why won't you tell us your name? I think Barry, Bill and Hybels pretty much said it all. I would like to add that you've underestimated the nastiness of his bullying. In the current climate, Hayashi has been unable to defend herself which makes Tariq constant harassment of her sadistic, sick and twisted. As is his constant attacks on anyone, like yourself, who has ideas of your own. On the other hand, Tariq may be the most unintentionally funny person I've ever met in my life. Take, for instance, the moment at the Town Hall meeting when he looked around at a room of 20 or so people and claimed that the count was 7,000 to 3 in favor or his position. Or the TH meeting meeting where he took his disciples out into the hallway and come to proclaim that all nine people were in agreement on some point or other and threatened to strike if the MTA didn't go along. I don't know if I've ever seen a better skit on SNL. in income each day. I am most of the time a silent watcher. He challenged Mcoy and he proved later on. Leaders don't need hours to sit down and talk stupid. you sleep without his name. Is it your Yoga. seems very aggressive about Tariq and others. Barry, Ed and anyone else supporting OTA. bother to ask others money be spent for you. THE REMOVED COMMENTS WERE REMOVED SO BECAUSE THEY DID NOT FACILITATE DISCUSSIONS THAT COULD DIRECTLY ADDRESS THE ISSUES. It is very hard to distinguish which Anonymous I'm responding to, but I am responding to the semi-polite one who states that he hopes he didn't insult me. I'm not sure which airport vote you're referring to, but EVERYBODY who attended those meetings understood that continuing the time based short system was not being considered (even Tone Lee finally realized that). Therefore, we explored other options. If you read any of the several commentaries and reports I made on those meetings, you'll see I didn't support ANY of the airports plans, but like everyone else, opted for the least bad. We, including myself, complained to the Airport Commission (you can look at the online video) about the skewed choices we were given and how we'd been ignored and manipulated in the talks with airport officials. The Airport Commission, which is different than the airport officials, made them go back to the drawing board. They are now exploring a GPS short system, which was our (the SFCDA) suggestion. In the meantime, keep your fingers crossed they don't decide to eliminate them again. If they do, you're welcome to attend these meetings or strike if you think that will help. As for the SFCDA and my/our stance on selling medallions, yes, we compromised in the end after 175 hours of Town Hall discussions on a plan that maintained the list, and medallions still going "earned" to those at the top, a limited number that can be "transferred" or sold, and at a somewhat affordable price. The alternative, would have been worse, and Tariq, who you seem to endorse, was one of the biggest proponents of selling ALL medallions to anyone on or off the list. He adamantly tried to convince city officials that they should be making money off this "valuable resource". On the TAC, I recently proposed that we advise the board that no more medallions be sold by the SFMTA outright, that any future sales would only be from driver to driver and that new medallions and reissued medallions not be sold. This was voted down by the MHA members on the TAC, as well as the large company management reps. I could be out driving more and doing other things I enjoy doing, rather than attending these endless meetings. If you attend more than an occasional one, you'll see that I quite often speak up for drivers when it really doesn't benefit me at all. I get attacked from people who think all medallions should be sold, even at open market prices, and also by others such as yourself, who think I sold out. I try to do what's realistically possible. You say I seem to have an aggressive attitude toward Tariq and others. I'm merely stating the facts about Tariq and correcting some false claims. Most observers agree that HE's the one with the aggressive attitude toward Chris H. and whoever else disagrees with him. I agree with him on some issues, but he's been unjustifiably giving Chris H. a hard time and disrupting otherwise productive Town Hall Meetings. The other comment I made was toward a multi-medallion holder who has personally slandered myself and others on numerous occasions. Though I'm pretty sure I recognized his writing, I decided to have John remove that post. As for your other questions, quite personal for someone who won't even sign their own name. I hope I haven't offended or insulted you either. re-invented or re-design via cab companies. When drivers says they do not want it, who do you listen. Chris or drivers. Who is in majority. and how far one can run. This is in response to one of the drivers who's afraid to show his name. I counted 3 posts of Ed's that were removed, and 12 by Anonymous that were removed. Give be a break! As a regular Joe Soap cab driver for the past 20 years, Mr Memoud or what ever his name is, will never, has never represented me in any way shape or form, and to those who cant put there names to there postings, Quack, quack, quack, Mick.